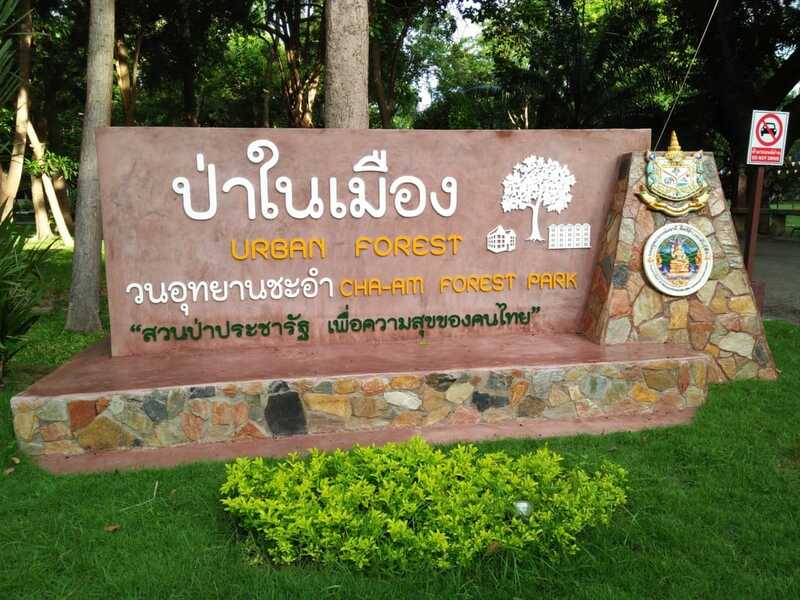 The park is open daily, from 6 a.m. to 7 p.m.
Cha-Am Forest Park is located directly next to Phetkasem Road and features a 665,600 sqm large park which is part of Don Masang National Reserved Forest. Visitors can enjoy the tropical vegetation and lakes and if lucky see gibbons, monkeys, peacocks and palm civets. The paved trail in the park is ideal for talking a walk, running and biking.